Happy Cyber Monday everyone! After a brief hiatus from the usual blogging this past weekend (in which some good food was had from throwing a couple of dinner parties), I am back and refreshed to get this week started! It is officially Cyber Monday – and with all the deals going on, anyone feeling a little bit overwhelmed? I visited some stores yesterday to check out in-store discounts and there were definitely some heads downs shopping going on! Luckily, I was able to grab a few items from Zara, J. Crew, and Uniqlo. Here are the online sales I am perusing today. Now that it’s back to the usual workweek, I’ll be looking to update the work wardrobe. Madewell: 25% off sitewide and free shipping. 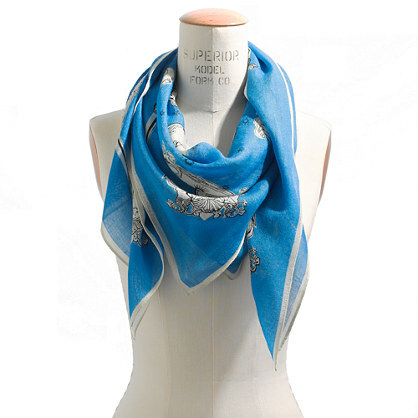 Great to stock up on accessories like these beautiful scarves. 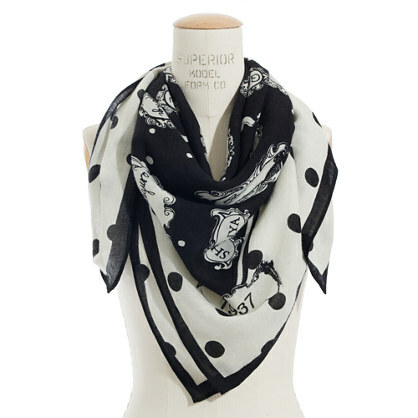 Banana Republic: 30% off on BR, Gap and Old Navy plus 20% at Piperlime and Athleta. This sweater dress would be the perfect cozy knit to wear and allow you indulge at your upcoming holiday parties. Saks/Bloomingdales: the department stores are also offering some great deals. Saks has up to 80% off their current markdowns, and Bloomingdales has up to 50% off selected merchandise with a ‘buy more save more’ deal ($50 off when you spend $250, $100 off when you spend $500, etc). Happy shopping! Please leave a comment or two on what steals you’re getting.